There are days with our pets that I really think I am crazy. As I am vacuuming up the tumbleweeds of hair, cleaning up pet vomit or dealing with a dog who id demanding to go out right as I am dealing with a terrible two tantrum, I ponder whether this is just insanity that I think that this is something that I want. Then, there are days like today when I get to see just how much they enrich our lives and the hours with the vacuum seem worth it. Last week, we were at our local Christian bookstore (which is my home-away-from-home, I think) and Pk wanted me to buy her something. Funds were low and so I said no. Normally, I wouldn't think anything of it but we were getting something for Lb, so I came up with the suggestion that after I got paid on Friday, Pk and I would have a mommy-daughter outing and we would go to the bookstore and her favourite coffee place. 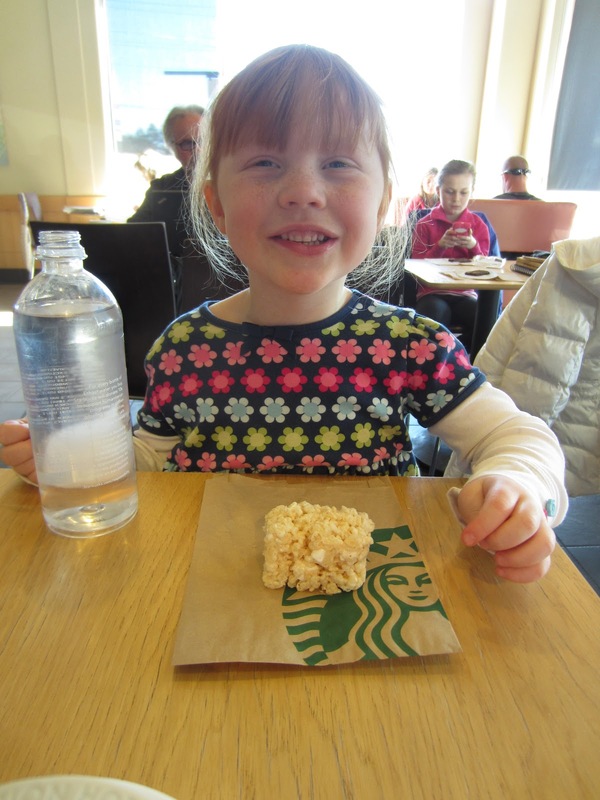 Saturday arrived and we went and watched the amazingly pretentious people torturing the servers with their orders and Pk enjoyed an incredibly overpriced water and rice krispie square and then we headed off to the bookstore. She wanted to browse but before we got to the books, she wanted to look at the gift section. Once we arrived at the Willow Tree figurings, I knew I had lost her. 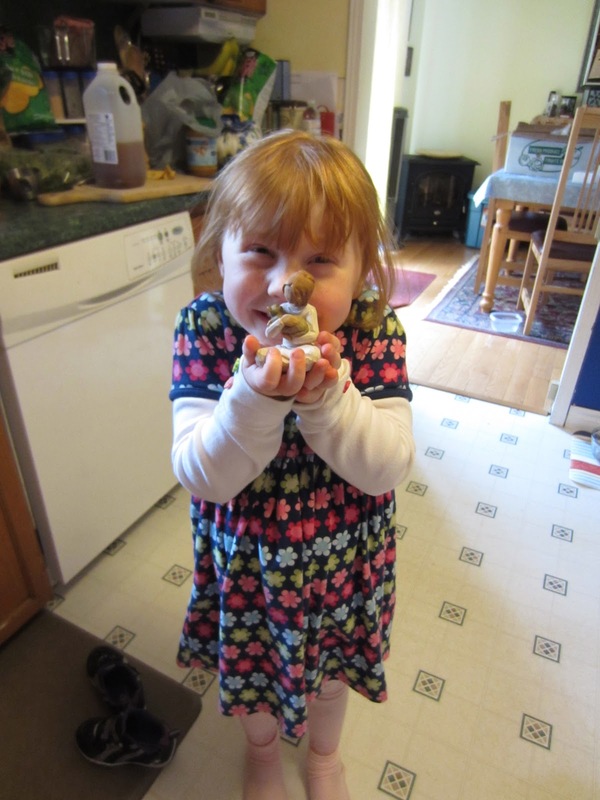 She has her mom's sentimental streak and she loves any figurine that reminders her of her and anyone she loves. She wanted me to tell her the story of each figure and then, we came to the one of the girl and her cat. We have a cat, Sadie, who joined us when Pk was 18 months old because Pk loved the cat at her sitter's so much. Sadie is an aloof but lovely cat but oddly enough, she ADORES Pk. She sleeps with her every night, spends much of her time in Pk's room and allows herself to be constantly man-handled without biting (and the rest of us would be chomped for sure). Pk had to have the girl and the cat and she was willing to forego books and even movies for the figurine. Coming home, all she could talk about what how much the figuring reminded her of our Sadie and how much she loves her cat. I love the cat, I truly do, but at the end of the day, it's the dogs who bring me the greatest joy. Chelsea is now almost 12 and I am already trying to prepare myself emotionally for the fact that she won't always be with us. Just look at Lucie, here below, running with the stick in the field on our walk this afternoon. Is there anything that captures the joy of life more that a Brittany Spaniel flying through the air? Definitely, our pets and their love are joys that enrich my life every single day, pet hair and vomit or not!